1 We rented a boat and sailed for a few hours. We anchored at this beautifull bay. 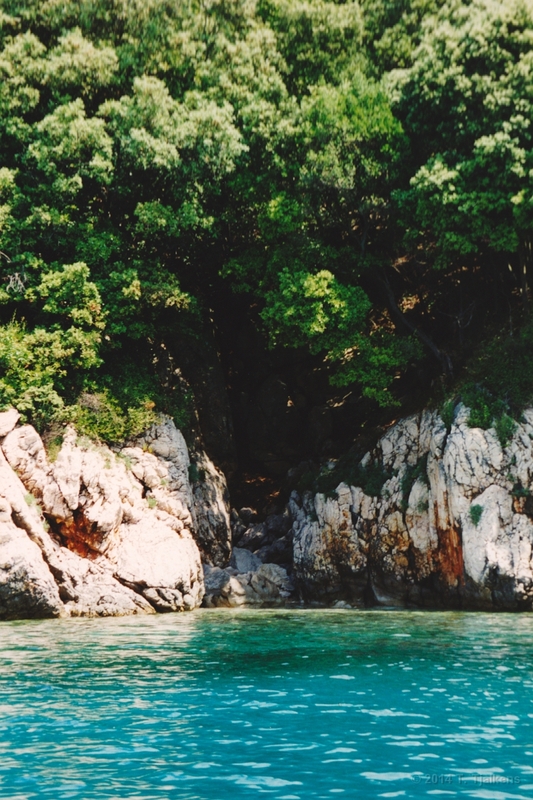 Island of Krk. 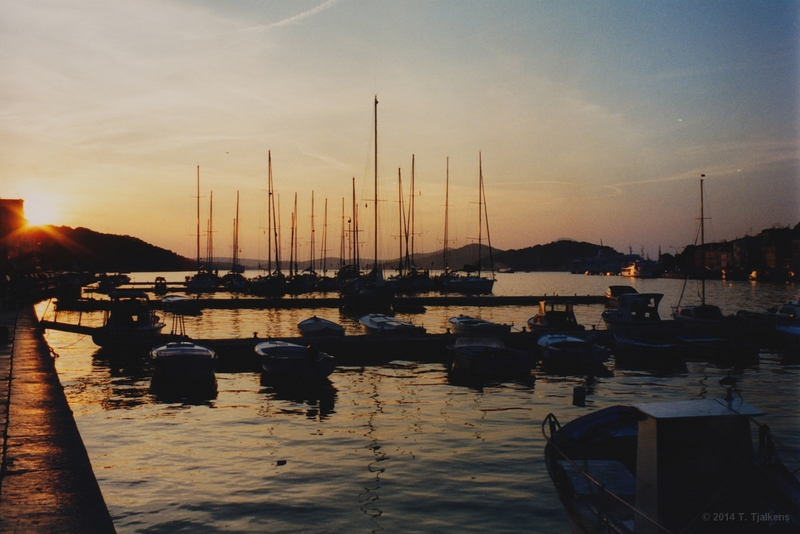 2 Harbour on the island of Mali Losinj. There is a statue of dolphins, but unfortunately we did not see any. Island of Mali Losinj. 3 Boat in the bay of Mail Losinj, you can see some other parts of the island in the distance. 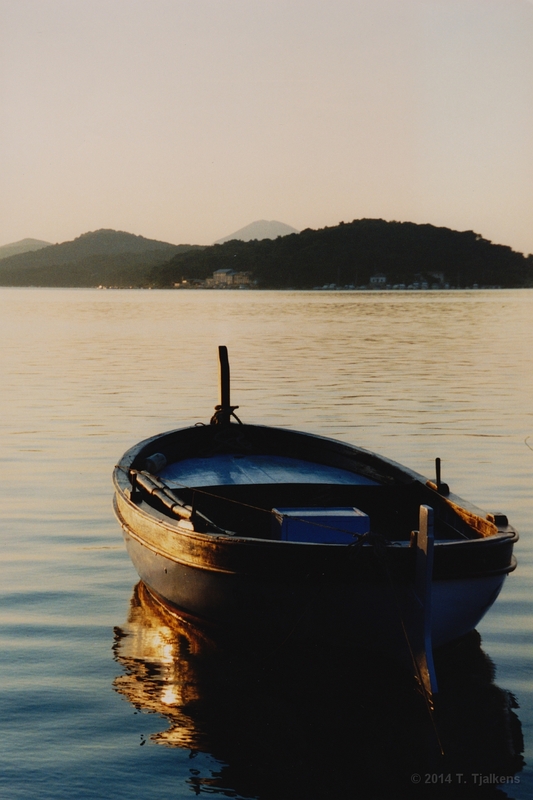 Island of Mali Losinj. 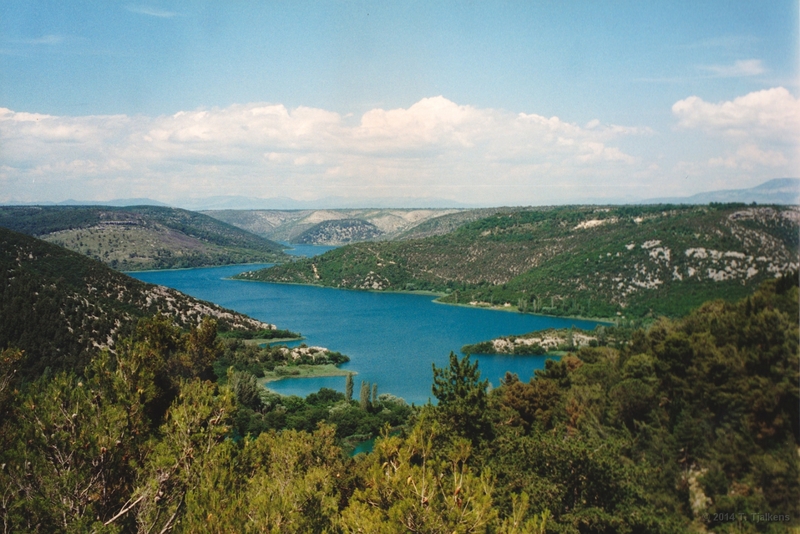 4 When traveling to the Krka waterfalls we made this picture of the inland of Croatia. 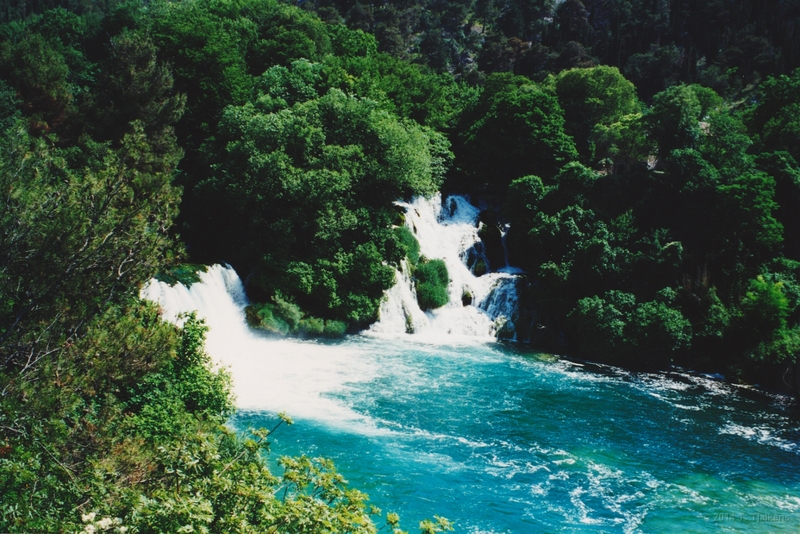 5 Photo from the Krka waterfalls, it has a beautifull surrounding with forests and the river, but watch out for snakes when you are walking. 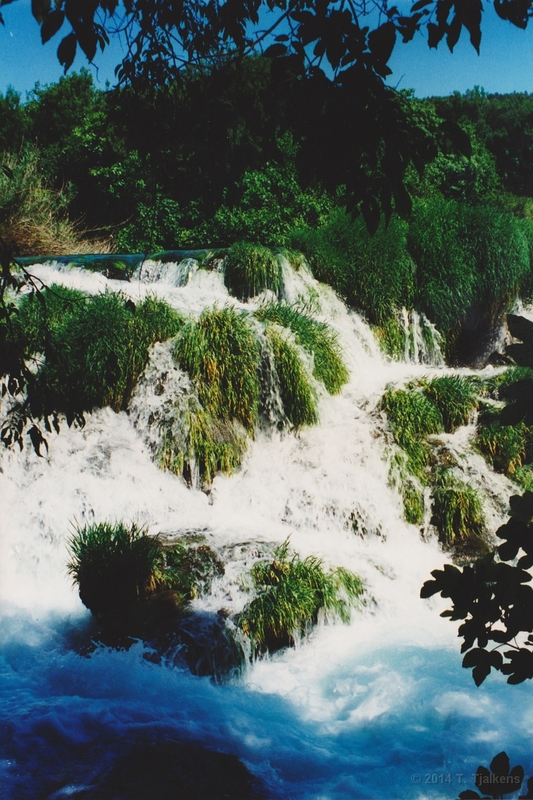 6 Another photo of the Krka waterfalls, more from a distance. There are severall waterfalls and you are allowed to swim at some.